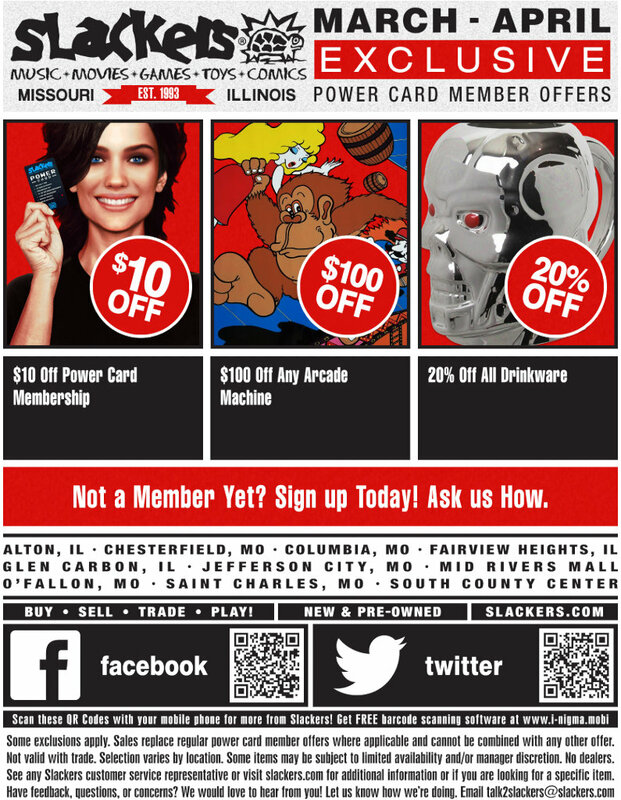 $10 off all Power Card memberships! Take $100 off the price on any Arcade Machine! Take 20% off the price of all Drinkware! Some exclusions apply. Sales replace regular power card member offers where applicable and cannot be combined with any other offer. Not valid with trade. Selection varies by location. Some items may be subject to limited availability and/or manager discretion. No dealers.